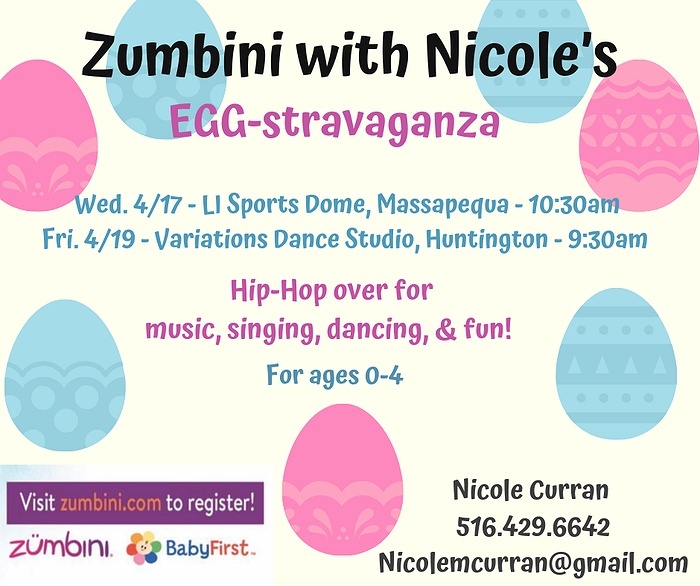 Subject: LongIsland.com - Your Name sent you Event details of "Zumbini with Nicole's EGG-stravaganza! " Hip-Hop on down for an Easter themed class at my Zumbini with Nicole's EGG-stravaganza party! Enjoy original music, singing, dancing, games, snacks, & tons of fun with your lil' ones, all while creating the ultimate bonding experience! Please RSVP as spots are limited. Go to www.zumbini.com under "demo classes."